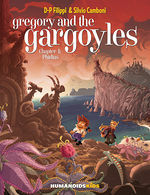 Gregory is full of one-liners and wisecracks, and Etienne and Camboni’s cartoons bring a whimsical, cinematic atmosphere to the pages, reflecting the larger-than-life nature of his adventure. 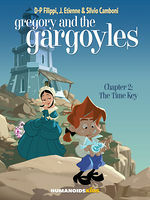 Ages 8–14. An excellent cure for a gloomy mood. 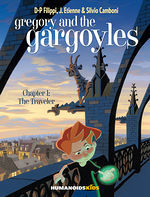 What action in this last volume! It does not stop for a second, and so much the better! A non-stop ride that keeps us guessing. As always this series is so much fun! 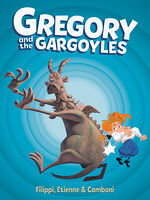 Featuring animated, colorful illustrations and an action-packed story line this is an enjoyable, appealing romp. 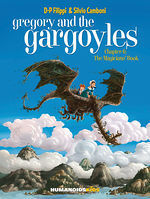 VERDICT Recommended for fans of magic and adventure. 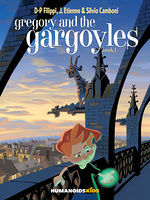 For anyone who watched the Hunchback of Notre Dame and wished for more gargoyles, Gregory and the Gargoyles is a book the whole family can read together. 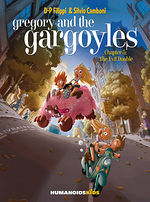 This is a joyous read and another home run for this growing kids’ line from Humanoids. And I’m not even the intended demographic. 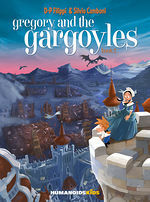 A great read for kids of all ages and a fun fantasy world to fall into. 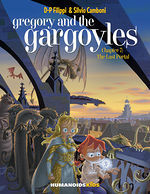 "There’s almost nothing to dislike about Gregory and the Gargoyles. 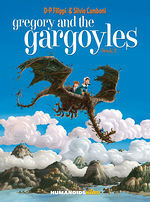 The art is great, parents and children will laugh at the story, and it’ll leave both wanting to know what happens next." 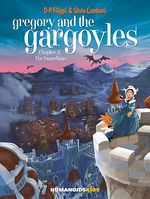 A true pleasure for both children and their parents.